Who wants to work for free? At face value, pretty much everyone would probably say no. Giving up your own time and not getting paid? That won’t help with the gas bill in winter in the slightest. However, volunteering brings many other kinds of benefits; admittedly if you’re only interested in money then it might not be for you (but it might be…more on this later). Volunteering is not an altruistic act; even donating all your spare time has a degree of selfishness in it. People usually don’t do anything unless they get something out of it, it just doesn’t have to be financial gains. One of the biggest reasons for volunteering, and why some stick at it for so long, is the feeling of satisfaction you get. It is knowing that you have made a difference, no matter how small, and made someone’s day just that little bit better. There is nothing to do with money here, this is simply helping others out. Maybe it’s because you have received similar help and want to give back, or just want to do something productive in any spare time, either way, you get something out of it. As much as volunteering isn’t about the money, it can lead to employment, usually in a similar field. Volunteering is perfect for getting back to work, developing new skills, or trying out a different career with limited commitment. Frequently, when vacancies arise, they are offered to internal volunteers. You come with all the experience of the field and organisation – ideal to a recruiter. Volunteering benefits those who are on the receiving end. Whether it’s simply having tea and cake with elderly people, walking dogs, or donating your professional skills for free, it will be a huge help to someone. There is essentially endless ways people benefit from having a volunteer, whether it’s company during the winter months when they are housebound, help getting to and from appointments, or sorting out practical issues like finances. It is this aspect that makes it rewarding and satisfying. You go home at the end of the day feeling good, knowing someone in the world is better off for you being there. The organisations that recruit volunteers also benefit. Although not paying for a member of staff (volunteers shouldn’t replace paid employees), volunteers require training, supervision and further opportunities. This must come from a manager’s time – so why do it? The answer is simple – it increases the capacity of the workforce, particularly at a time when funding might be limited. It enables organisations to give something back to the community, and up skill local individuals. Clearly, volunteering is beneficial for all parties involved. It can make a huge difference to vulnerable individuals, which is always satisfying. Volunteering can be as big or small task as you make it; it can vary from simply proofreading a student’s essay, to essentially volunteering full time. It can be done at home, work, out in the garden, through the night, pretty much whenever suits. There are many websites out there that match up potential volunteers with organisations looking for people – go have a look and do something good today! The key to any level of financial success is to understand where and when you are spending your money. Understand what costs are fixed and which ones are variable. Set yourself set targets and ask your mortgage broker to give you a repayment schedule so you can track how you are going. One of the biggest mistakes people make with their mortgage is to just make the minimum repayment and rejoice when interest rates and their repayments decrease. Understand what you can afford and set your repayment level. This way you will pay extra off your mortgage when rates are low and will have the ability to keep your repayments the same when rates are high as you will be ahead on your repayments. 4. Should I put money into super instead? For some people focusing on paying off the mortgage will actually leave them financially worse of in retirement. Putting greater focus on your superannuation may actually be more beneficial and actually make it easier to pay off your mortgage in the long term. Make sure you get the right advice particularly if you are planning on paying off your mortgage when you get access to your superannuation. For some people rather than paying off the mortgage you may be better off getting a mortgage with 100% Offset Facility and putting all of your spare cash into this account rather than the actual loan account. 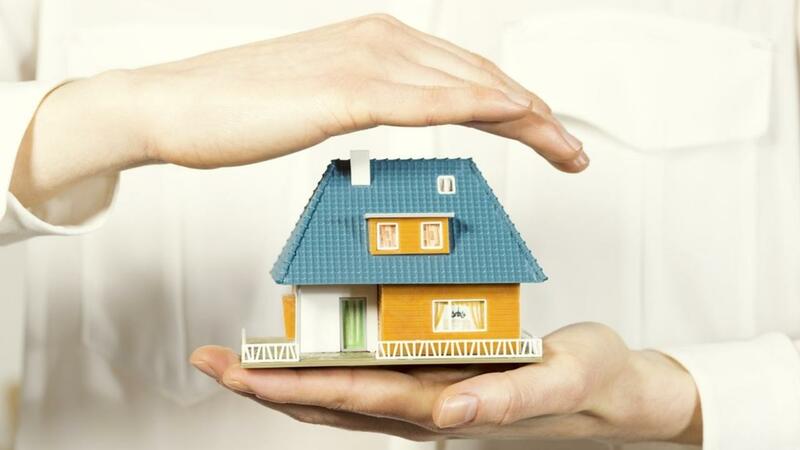 Benefits are the same as paying the money off the mortgage but if the property is or becomes an investment property you may be in a position to claim a larger tax deduction. Make sure you regularly check the rate and fees on your mortgage. Most mortgages are out of date after an average of 5 years. Never be complacent and shop around. Using a mortgage broker will give you access to a depth of experience and a wide range of lenders and products. Finally understand how you are going to pay off your mortgage! Are you going to sell the property and downsize, earn enough to pay it off or have you overstretched yourself. Borrowing well within your limits will always set you in good stead and remember in most cases lenders will often be prepared to let you borrow more than you can comfortably pay back. With the property market still driving forward, I thought it was time to share the lessons learned from an auction I witnessed a few years ago now. It was, without doubt, a lesson in relationships, money and what happens when you fail to stick to your auction limit. The auction starts the Auctioneer declares the property on the market, a beautiful Californian Bungalow, on a flat piece of land in a desirable waterfront suburb in the south of Sydney, a property with good bones, but one in need of a complete renovation. As I stood on the tree-lined street, the crows continued to grow and the auction started slowly with an opening bid of $900,000 the typical auction games were played between the bidders, keeping the auction progress almost to a snail's pace as the bidding took almost 10 minutes to reach over the million dollar mark. In the front a young couple who had been bidding from the start, consistent and strong and who regularly were communicating with each other, let's call them the Savvy Couple. A new bidder jumps in, taking the bidding up to $1,010,000 and then the Savvy Couple strongly bid back. The Auctioneer calls it once, twice and then from nowhere another bid comes from a young women standing next to her husband as she yells, $1,030,000. The husband clutches his face in his hands in anguish; it was a scene in 10 years of attending auctions I had never seen. He was aghast; as the young women stood there ignoring his clear concern and frustration. The scene was tense as he grabbed her by the arm and told her to stop as he pleaded with her, this unprepared couple were now fracturing in front of the hundred strong crowd watching bewildered. The Savvy Couple bid again. The sense of relief on the face of the husband from the fractured couple was plain, as he walked away from his wife down the street to get away from the auction in an attempt to not bid. The Auctioneer again began to call it once then twice to the Savvy couple. 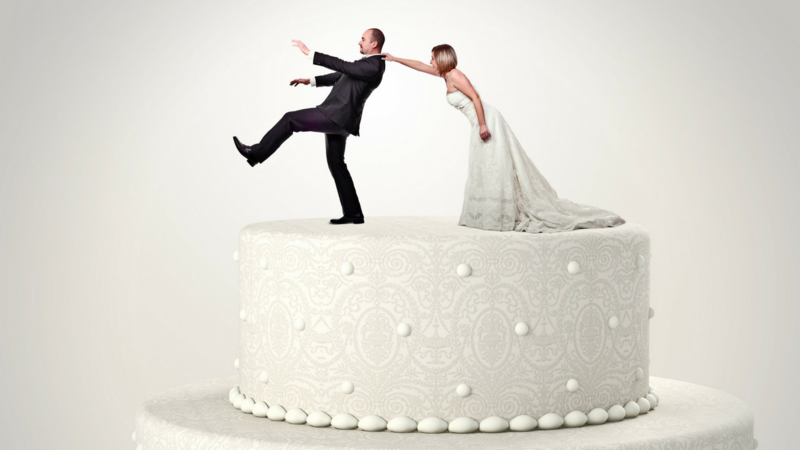 The wife from the Fractured couple grabbed an agent and asked him to pause the auction as she chased her husband down the street and forcefully said ‘can I bid or not’. The husband then reluctantly pulled out his phone and started to call… who he was speaking to it was hard to tell. But what was obvious was that this couple had gone over their limit they had set to purchase this particular property. He then told his wife she could go to $1,050,000 at which she immediately ran back and bid, and then kept bidding. The Savvy couple was outbid and they comfortably and calmly stood aside from the auction proceedings. The Fractured couple continued and won the day. Or did they? As the Auctioneers hammer went down the Fractured couple were in very different places. The wife elated, the husband noticeably concerned. So what are the lessons we can all learn from this? Know your limits. Agree with your partner on what you are prepared to pay and don’t forget to consider the renovation costs. If one of you is likely to get drawn into the emotional roller coaster have someone else bid for you. Respect your partner in financial decisions. Buying a property is not something that is cheap to unwind. This is an extreme case, but financially the stress if the Fracture couple have stretched beyond what they can afford with no doubt put pressure on their relationship. Importantly seek professional mortgage broking and financial advice when purchasing a property so you are both on the same page. Having since spoken with the agent a few years on now, although property prices have gone up and they have financially won because of this. The couple themselves have never moved into the property and it remains in desperate need of renovation. Something they cannot afford to do. In accordance with ASIC Policy Statement 175 under the FSR licensing regime we are required to advise that through this web site we are only providing General Advice. Having working in the Financial Industry for over 18 years I see many things that need to be shared with consumers. 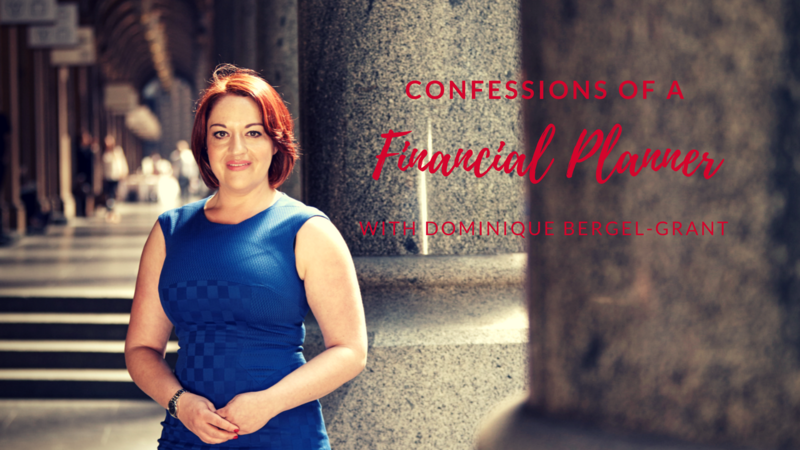 This 'Confessions of a Financial Planner' series is designed to do just that. I look forward to your feedback and comments. This client had been swept up in the amazing digital marketing this company has put out along with a catchy name. But since when did spaceships and superannuation seem link a logical connection? Being curious, I went searching for the Product Disclosure Document to understand if the marketing hype matched the product investors were actually going to get. Spaceship Superannuation promotes that you are going to ‘invest in the future’ and that you will get a ‘diversified portfolio with technology at its core’. Sounds great… but what is the reality? This is a fund that is aiming to significantly underperform the market with a stated investment objective of just CPI + 2.5%, when similar risk exposed funds are aiming for CPI + 5-6% over a 9 year period. Now if I was invested in the share market and only received a return of 5.5% over 9 years on average, I would be moving elsewhere and quickly. They actually do not own any of the shares directly they advertise. Instead they gain the exposure to the market using Exchange Traded Funds and Index Funds. Now there is nothing wrong with that, except that you are paying extraordinary high fees for this privilege. Along with what seems little to no active management at 1.6% per annum. To give an example, as an investor I can purchase a technology focused exchange traded fund at an investment cost of just 0.10% - 0.48% per annum. So I have to ask why are you paying 1.6% in the Spaceship Superannuation Fund? It is also worth noting that although the fund puts all of its focus in the marketing on being invested in technology stocks this only makes up around 35% of the investments. Although, personally having had the experience of working in the BT call centre at the launch of the BT Technology TIME Fund, I am reminded of the risk of just focusing on one industry. In fact the BT Technology TIME Fund launched on the day the dot.com bubble peaked, March 10, 2000. From there it was all down hill falling from $1 to less than $0.40. The fund itself also misses a number of other critical features needed by its target market, such as your professionals who need more flexible investment options or need to fund insurance coverage. It will be interesting to see how Spaceship Superannuation changes over time; they will need to match their marketing hype, otherwise risk having a lot of very disappointed investors. Although I love seeing new innovative products hit the market, let's leave spaceships well away from super. When I was growing up I dreaded family holidays. I remember long hot days in the car, my parents sending out distinctive stress vibes as my brothers fought endlessly over one inch of space on the car seat between them. I was always unsure why we went away: surely being at home was better for everyone? Now thanks to the Internet, and a different approach to traveling, family holiday stress can be greatly reduced. Here are three strategies for taking the stress out of your next holiday. Our modern lives are starved of one essential nutrient: time. We rush from one thing on our “to do” list to the next, and this list is particularly long when we have children! 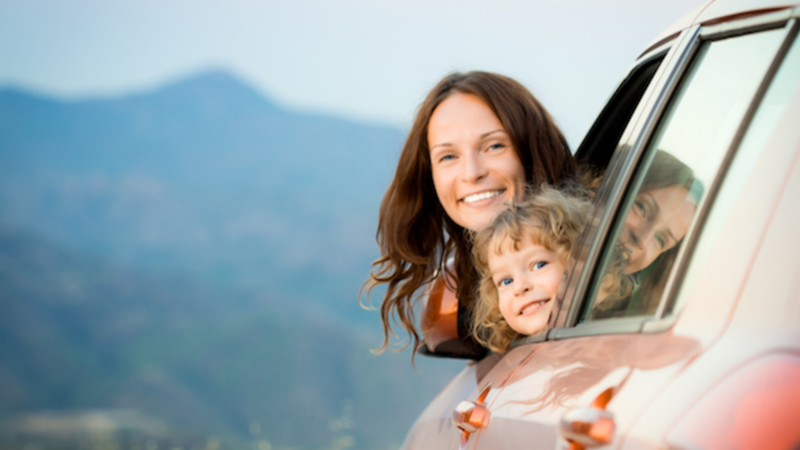 For your family holiday, then, avoid the temptation to schedule in a lot of activities and sightseeing. Take the pressure off and plan to do far, far less than you would do in a normal day. It is a holiday after all! The less you plan, the more time and space there will be for reading, relaxing and spontaneous adventures. Planning less also means you create plenty of space for possible hiccups and delays. Hauling a suitcase around for yourself is no fun. Hauling multiple cases for an entire family is even less fun. The less you pack, the less there is to carry. There is also less to unpack and wash. And there is definitely less to accidentally leave behind! Be ruthlessly zen with your packing. Think in terms of being minimalist and relaxed. Avoid being tempted to bring lots of things “in case” of all sorts of scenarios. The bare essentials plus one or two things to keep the kids entertained will be more than enough. One of the best things to happen to family travel in a long time is Airbnb and the rise of people offering their homes and apartments for short-term holiday lets. Renting an apartment or a house often will work out a lot cheaper than paying for multiple hotel rooms. You will also have a greater choice of location, and get a chance to see a side of a holiday destination that will be different from a normal tourist. Staying in an apartment also gives you space to breathe and rest, as well as an opportunity to cook for yourself if you fancy it.